If you want to learn how to flip houses like the pros on TV, you can with Bank Foreclosure Millionaire! Available to download on Google Play, it’s an educational, interactive investment sim, the game teaches you the techniques and strategies you’ll need to succeed in the tough world of property investing. With a focus on realistic rather than casual gameplay, the game is definitely geared towards those who already have an interest in investing or making money off property. You’ll find a wide range of learning resources, such as video tutorials and PDFs, teaching you the tricks of the trade. The purpose of the game is to let you use the strategies you’re taught in an interactive, risk free environment. The game goes above and beyond to simulate investment scenarios as realistically as possible. There are different stages to master, each with its own unique challenges. In one stage you’ll be a landlord and in another you’ll be buying bank notes at a discounted price – those are just two of many different scenarios to play. 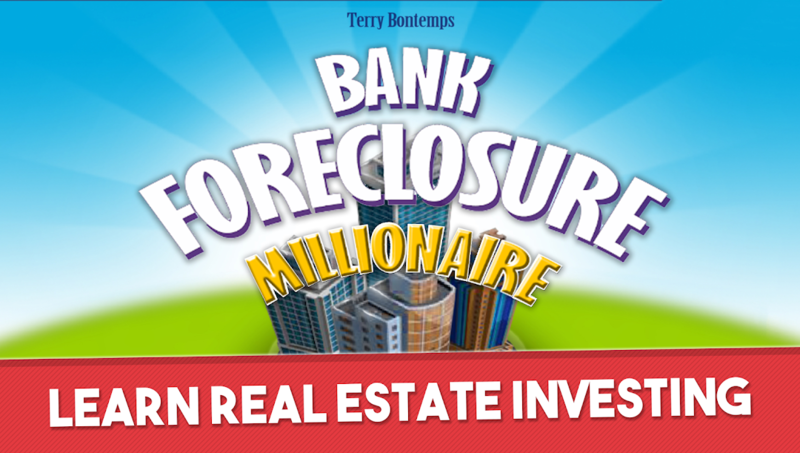 As true to life as you’re likely to get in a mobile game, Bank Foreclosure Millionaire has tons of juicy content to keep the eager investor entertained. If you’re interested in how the TV pros flip houses and you want to learn the tricks needed to succeed in the industry, Bank Foreclosure Millionaire provides a uniquely fun, engaging way for you to learn the ropes!